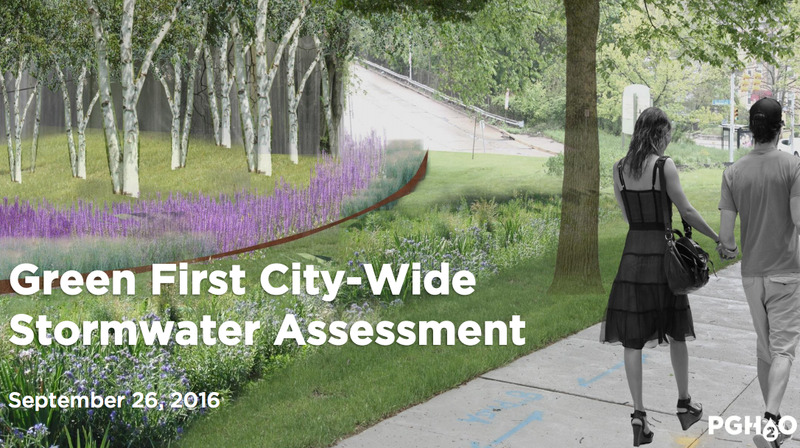 On September 26th at a City Council post-agenda on flooding issues, Mayor Bill Peduto along with the Pittsburgh Water and Sewer Authority, unveiled the City’s Clean and Green plan to prevent flooding and solve our region’s sewer overflow problems! 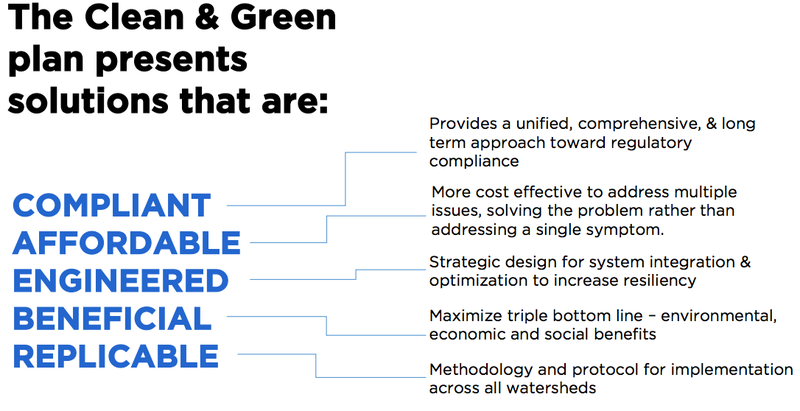 The Clean and Green plan details how the City can reduce flooding and prevent Combined Sewer Overflows through strategically placed green infrastructure. The plan can even be implemented a decade sooner and at a much lower cost to ratepayers than ALCOSAN’s current tunnel plan! 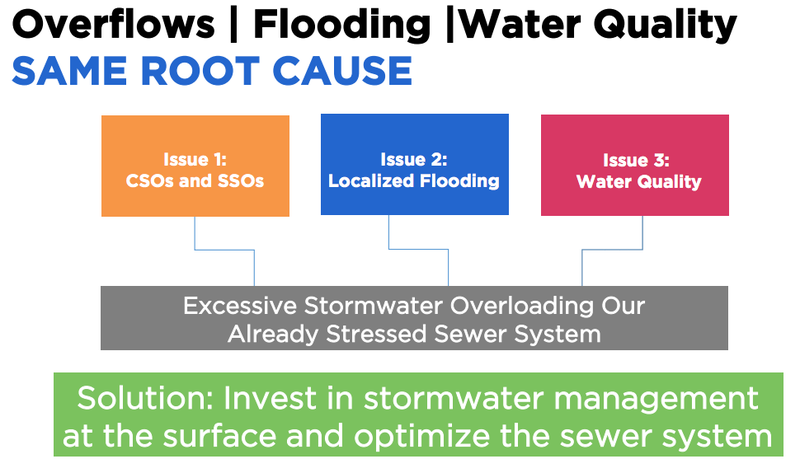 The Mayor and PWSA announced that they intend to solve the root cause of our region’s flooding issues, basement backups, and combined sewer overflows by investing in better stormwater management infrastructure that captures water where it falls and optimizing the current sewer system. Not only does this plan solve several problems with one solution, but it also generates incredible benefits for our communities. In addition to addressing CSOs, flooding, and basement backups, green infrastructure investment will create jobs, clean our air, and transform our neighborhoods with parks and other amenities. This means that ratepayers will see more of their dollars invested above ground in their communities! The Clean Rivers Campaign would like to thank Mayor Peduto and the Pittsburgh Water and Sewer Authority for their leadership on this issue and the creation of the Clean and Green plan for our region. Now, ratepayers need to be able to access the full PWSA study and ALCOSAN ultimately needs to invest in a region-wide green-first plan that provides these benefits for all 83 municipalities and cleans our rivers! Read the full presentation below!